Aitkens & Aitkens, P.C., has built a reputation as a leader in trust and estate litigation and for rendering quality legal services in numerous areas of the law. 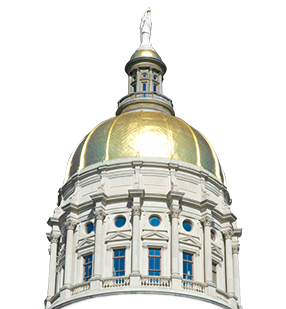 Our Atlanta attorneys practice throughout the state of Georgia and assist out-of-state clients with probate matters in Georgia. The hallmark of our litigation practice is our work in trust and estate related litigation, including trust litigation, trust management disputes, estate and probate litigation, will contests, trust and estate tax litigation, estate related insurance litigation and wrongful death lawsuits on behalf of surviving heirs. Our trust, probate and estate law practice involves preparation of trusts, simple and complex wills and multi-generational estate planning, trust termination, reformation and management, and probate and estate administration. We have litigated wrongful death and serious personal injury cases in Metro Atlanta, northern Georgia and statewide, and also provide assistance to out-of-state clients who need local counsel to coordinate both the lawsuit and probate matters. Most wrongful death attorneys hire another lawyer to handle the estate-related matters. We handle everything from start to finish, so that you have one point of contact throughout this trying process. Aitkens Law Firm also maintains an active business transactions practice, counseling on entity formation, agreements and contracts, trademark and copyright protection, and sale or purchase of a business or assets. Our accomplished trial lawyers also handle business and contract disputes, personal injury and premises liability litigation. Our diverse areas of practice enable clients to protect their interests on the front end and the back end of their business and personal affairs. Honest and diligent representation, coupled with timely and effective communication, is the heart and soul of our practice. Our experienced attorneys and support staff are cordial and helpful while undertaking their duties with great resolve. Our commitment to legal excellence and personal service has resulted in many client relationships lasting over 20 years. Clients and friends routinely refer business to our firm because they know we will do our best for them in a professional and competent manner. Contact Aitkens Law Firm for sound, friendly advice for yourself, your family or your business.